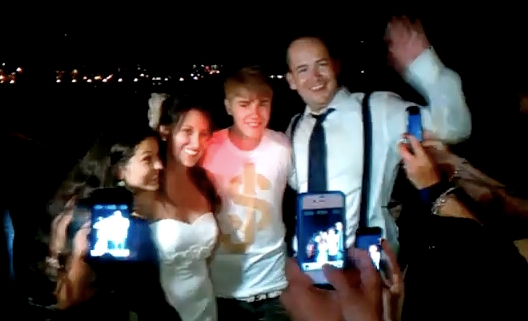 This past Saturday, Jeanine and Rob McCool’s Malibu wedding got crashed by none other than the Biebs himself. 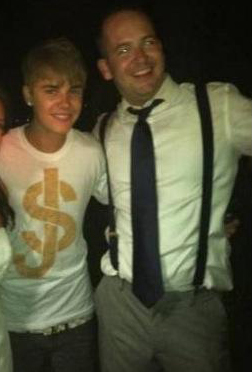 That’s right, like a scene from Wedding Crashers, Justin Bieber crashed the couple’s wedding reception with his beau Selena Gomez in hand. 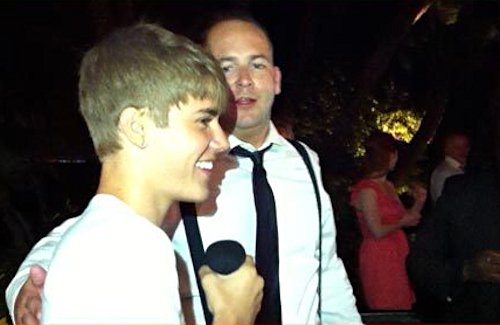 As the story goes, Justin Bieber and Selena Gomez were driving by when they heard a party playing Justin’s song, “One Less Lonely Girl” and decided to stop by. The Hollywood power couple stayed for an impromptu meet and greet, took some pics with the bride and groom as well as some other fans before they left.